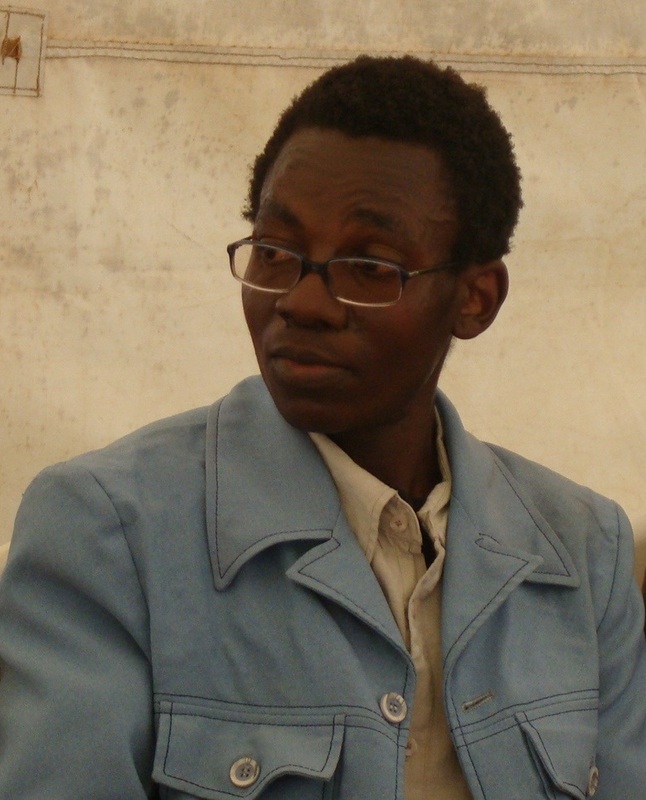 Star correspondent Temo Buliro speaks to KHAINGA O'OKWEMBA (as published in the Star of August 21, 2014), literary critic and radio show host, The Books Café. It is the only radio show where authors explore contemporary literary issues. You are a celebrated Kenyan poet, journalist, literary critic and radio presenter of the popular literature programme, The Books Café, on KBC English Service. How did you get started in radio? The literature programme, The Books Café, was born out of my longstanding friendship with KBC radio presenter and producer Anne Lemaiyan and broadcast journalist Bill Odidi. Both Bill and Anne are literature and arts lovers. We used to meet frequently at the now defunct Wasanii Restaurant on top of the amphitheatre of the Kenya National Theatre where we would talk endlessly over a cup of tea and some tequila about literature and arts. I guess it was during one of these meetings that the idea to introduce a literature programme on KBC was mooted. Both Bill and Anne knew me as a writer and journalist: they read my weekly column, Literary Postcard in the Star; they attended the literature events I organised with colleagues at PEN; they thought I had a network of writers, literary scholars and publishers; they were convinced that I had a radio voice; they thought I had what it would take to present and sustain a literature programme on radio. The seed was planted, how did it then take off? KBC has a long history of promoting literature. I was invited to Broadcasting House where I recorded a few programmes with Anne as the producer, but the programme did not take off. It was not until Anne introduced me to radio journalist Jared Ombui as the new producer that we began in earnest to schedule the programme every Saturday from 2pm to 3pm. I created a long list of possible guests, looked for their contacts, began revisiting their works and coined the now famous tagline: The Books Café is a cutting edge programme in the world of literature where we talk to writers and explore contemporary literary issues. Having the inspiration to start a programme is one thing, but sustaining it is another. Where else did you source your guests? I am a writer and journalist. I had occasion to interview writers from diverse backgrounds and cultures. For a long time, I toyed with the idea of the literature programme. I think it's also the body of literature material I was acquiring and the many delightful and delighting writers I was encountering who convinced me that we needed a special writers' programme on radio. I had been writing the weekly literature column and I thought I could draw from the same intellectual material to sustain a literature programme on the national broadcaster. Was the funding readily available? No, there was no funding, and there has never been. I do the programme for the love of literature and my country. I am a consumer and producer too of literature, and I thought that given the opportunity, I would make my little contribution by leaving a mark on the path of humanity. Literature humanises our experience in this world, example when Prof Henry Indangasi was a guest we discussed his defence of Joseph Conrad and his elevation of Leo Tolstoy above the legendary Nigerian writer Chinua Achebe. You have had many local and international writers come through your show. Please name a few and their different countries. Celebrated literary critic Prof Chris Wanjala was the first on the programme. He gave a historical perspective of our African literature. Many of his colleagues in academia have been guests: Prof Kithaka wa Mberia, eminent Muthoni Likimani, all Kenyan. Legendary publisher Dr Henry Chakava, chairman of Kenya Publisher Association Lawrence Njagi and founder Nsemia Inc. Publishers Dr Matunda Nyanchama. We've had renowned writers such as Nigerian-based Ugandan scholar Prof Okello Oculi, the bilingual Egyptian literary scholar Prof Arif Khudairi, South Africa's Black Conscious poet and ANC guerrilla fighter Dr Mongane Wally Serote among many others. We've had Kenya's new creative voices: Binyavanga Wainaina, Tony Mochama, Stanley Gazemba, Moraa Gitaa, Yvonne Adhiambo Owuor, Okwiri Oduor -- the 2014 Caine Prize winner... and you Temo Buliro for your book Faceless Voices. Any memorable moments you've had in studio and with whom? I have cherished every moment of The Books Café. I recall the day when I was submerged between three beautiful African women writers: Uganda's Jennifer Makumbi, South Africa's Karen Jennings and South Africa-based Nigerian writer Yewande Omotoso. The three who had been together for some time took the studio by storm! We had a very intense and illuminating discussions interspersed with readings from their debut novels Kintu, Soutbek and Bom Boy, respectively. I enjoyed their free spirit, frankness, laughter, jokes and the warmth they brought to the studio. We were discussing writers and conflict, but the atmosphere was so lovely and lively, those outside the studio could easily miss the seriousness with which these writers approached the subject. Have any authors surprised you with revelations or insights you hadn't expected? Well, that has to be the occasion when talented young Zimbabwean poet-activist Tendai Maduwa told me upon arriving at KBC that he'd asked Nigerian poet-scholar Prof Kayode Animasaun to come and join-in, if that was okay which it was, but Prof Kayode was stuck somewhere in Nairobi traffic. I made the decision to proceed with the programme without him since the studio had been booked and interviewed Tendai on his poetry. When Prof Kayode finally came to the studio, session time was over but we went on anyway and recorded one of the most memorable programmes: Prof Kayode, Dean of Students and Head of the Department of Theatre and Performing Arts/Music at Adeleke University, surprised us with a performance of Pidgin poetry and spoke passionately about scholarly work on the Pidginisation of West African literature. How unusual is it to have such a radio show in an African country? It's rare to see the arts celebrated with a national show, as opposed to seeing artists only mentioned in broadcasts when they're hauled off to jail for their activism. KBC boasts the largest archive of rare intellectual and historical material from local and international writers in their own voice, than any other media house in Kenya today. In fact, some of the visiting writers are surprised to note that Kenya has a weekly programme purely for writers, whereas in their countries writers may only be invited on radio or TV when there's a major event in town. I really enjoy listening to your show and even your archived interviews online at http://www.chirbit.com/kbcbookscafe. What genre of literature do you most enjoy discussing? I read poetry. I read prose. I read drama. Essentially, all genres. What genre do you have the least interest in? I don't do self-help books. Also, when I come across an autobiography by a Kenyan, I read it with a pinch of salt! Which as yet un-interviewed author(s) would you like to interview, for what body of work? There're many: Prof Ngugi wa Thiong'o, the ailing Grace Ogot, the ageing Lamu poet Prof Sheikh Nabhany, Meja Mwangi, to mention but a few Kenyan names. There's former South African President Thabo Mbeki, himself a philosopher-king, Canadian author, political theorist and President of PEN International Dr John Ralston Saul. I have read their non-fiction books and would be most honoured to interview them on their political thoughts. The show has been running since January 2013, although preparation began six months in advance. What's involved in preparing for a weekly show? Reading as many books. Reviewing literary issues with writers, literary scholars, publishers, teachers, students. Attending literary events to sniff out new contacts. Reading on the author you're set to host. Do you do it all, or have a staff to assist? I receive a lot of books from friends abroad, from writers, from publishers and I buy new books to replenish my home library. So the preparation involves a lot of reading so as to have an informed conversation. In terms of the technical aspect, I have a standing producer Jared, who ensures that the studio is booked on time. Then there's veteran technician Kagiri and a galaxy of dedicated women technicians who work behind the scene to bring the programme on air on KBC English Service. What parts of preparation do you enjoy? This has to be several days ahead of the programme when I am reading a delightful book at home by the next guest on the programme. I also love the great anticipation that comes before interviewing an unexpected visiting writer whose work I've not read: I get to pick their brain on certain literary issues which then become the launch pad of the programme. What are the qualities a good literary show host should have? Be well read. Knowledgeable. Informed. Creative. Dynamic. Independent. Receptive. Respectable. Respectful. Ability to reach out to writers from different cultural backgrounds and be ready and able to steer a good discussion with any writer on short notice. Easily remember authors, their books and what they said. Know key industry players. Have a rapport with writers, scholars, intellectuals, students, teachers, publishers, literary promoters. Know what is happening. How has this show affected your life for the better? I feel like I've been in a thousand countries. The many writers from diverse cultures I've hosted have expanded my horizon for as we say at PEN, when a writer acquaints themselves with foreign literature, they travel through the soul of the nation that created it and by understanding the authentic culture of that nation, he is devoid of prejudice and stereotypes that were created from historical encounters. Literature teaches our common humanity. I've had moments of contemplation and agonising. It's been a long but rewarding literary excursion. How has this show affected your life for the worse? The programme has taken several hours away from my own creative writing. I read more and write less. Who have been the producers? Production assistants over the years? Others who have contributed to The Books Café's success? The producer of the programme is Jared Ombui, a very easy-to-work with producer with whom I shared a dream. We've had stand-in producers such as Mariam Kiptuya and Geoffrey Onditi. The Head of English Service Bill Odidi has been a source of inspiration. English Service presenters and the technical production staff have been a steady stream of support and professional solidarity. The literary fraternity who form the source of intellectual material for the programme need special mentioning, such as Dr David Maillu. Over the years I have had free access to the personal libraries of Prof Wanjala, and the many informal and intellectual sessions I have with scholars at universities, at PEN, Kwani? and Storymoja have been instrumental. 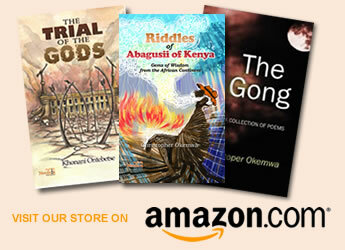 Khainga O'Okwemba is the author of Smiles in Pathos and Other Poems (Nsemia Inc., 2011).